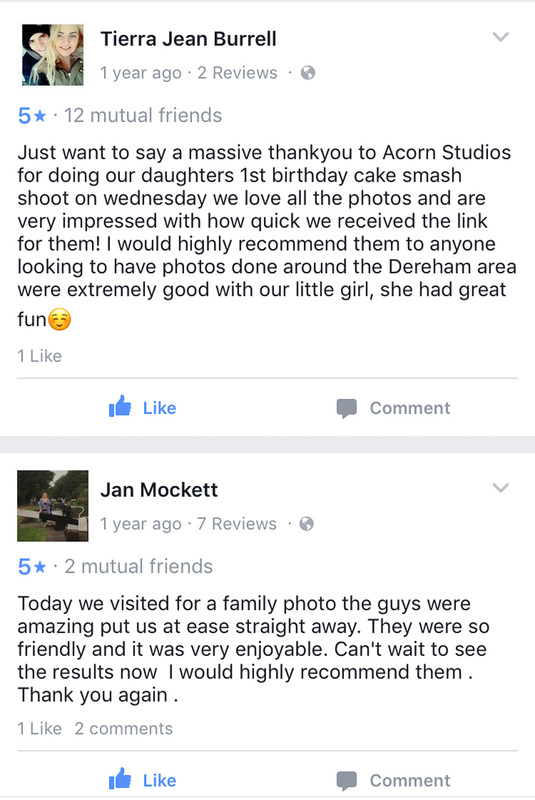 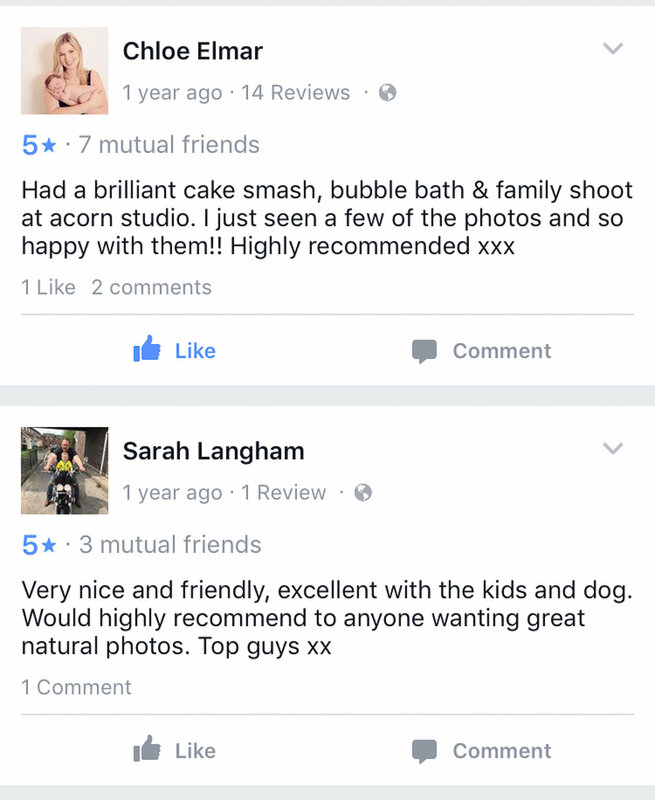 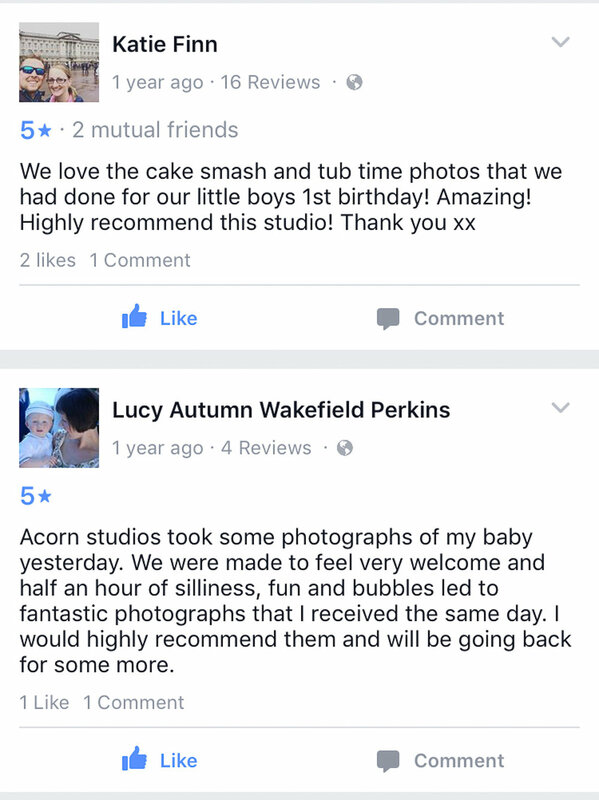 Since we started trading as Acorn Studios in July 2015, we have amassed over 300 exclusive 5 Star reviews via our Facebook page and on Google. 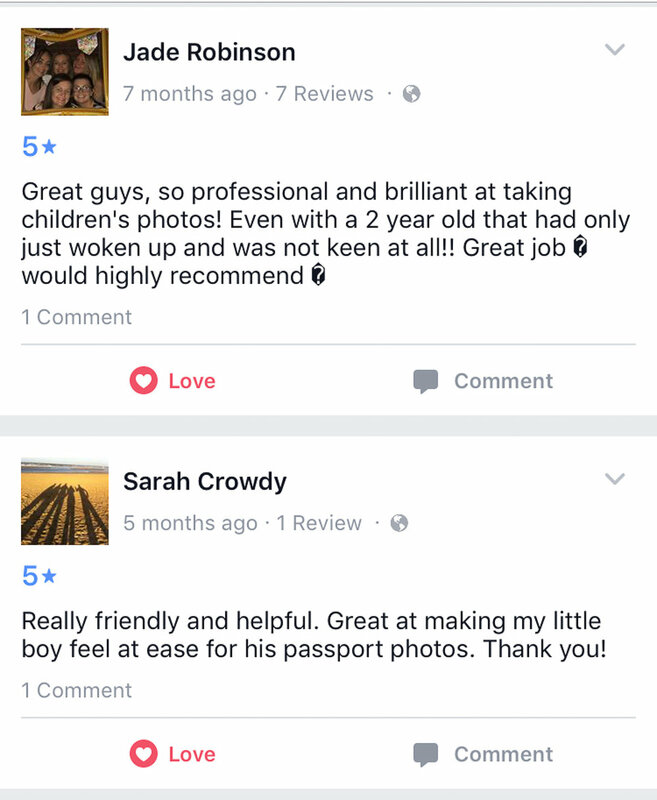 For us, each and every review, strengthens our ethos and determination to continue providing the level of service and end products that far exceed our price point. 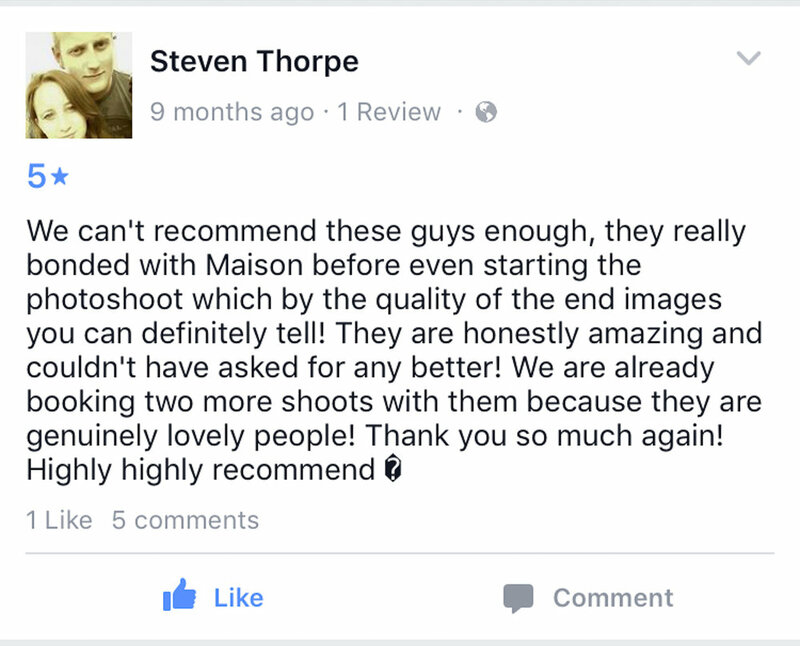 We want to be able to offer a very high standard of photography for everyone, not just those that can afford it. 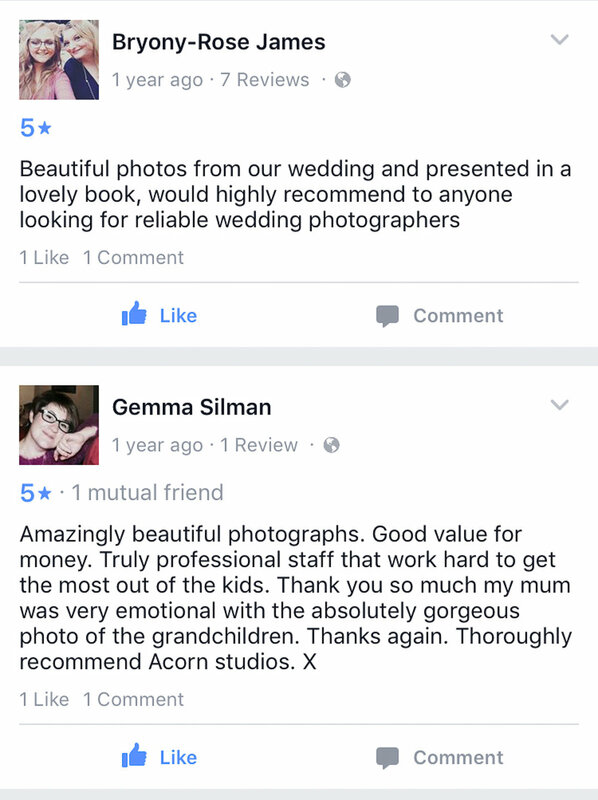 We are passionate about our photography and passionate about giving our clients the very best images and service we can. 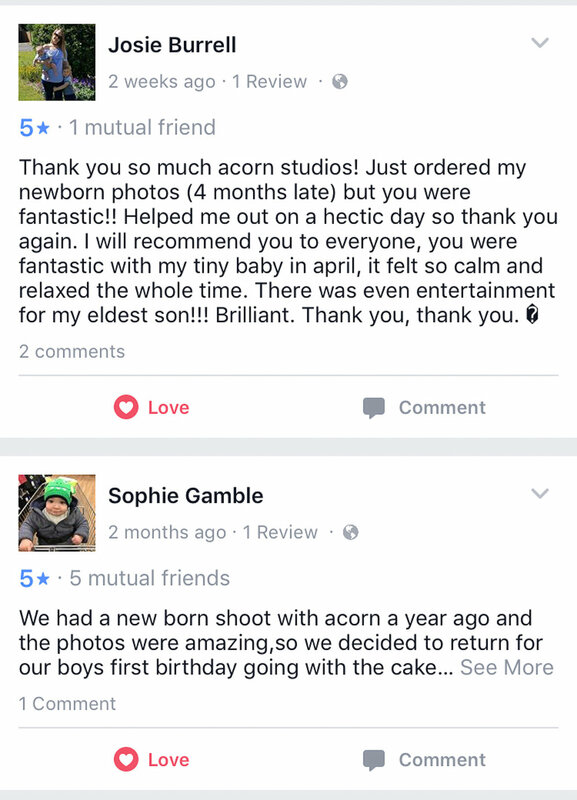 From studio portraits & location shoots to weddings and newborns to canvas and printing. 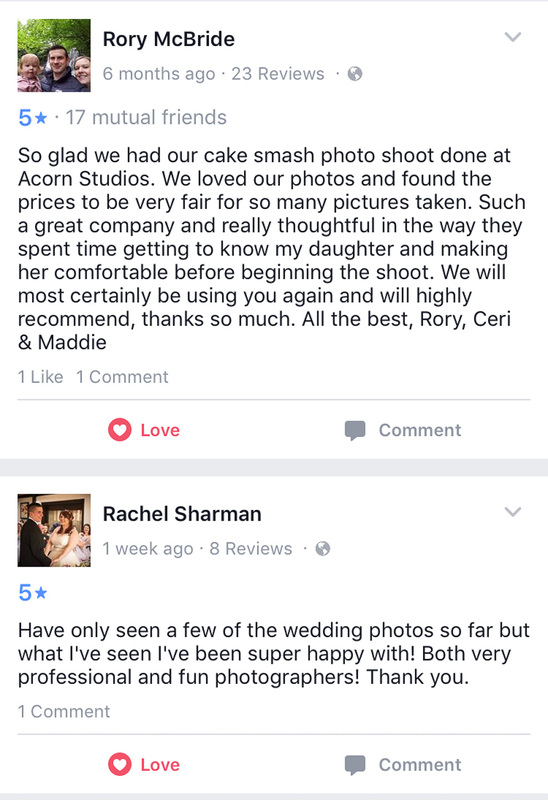 None of our commissions are taken for granted, we strive to give our all for you all. 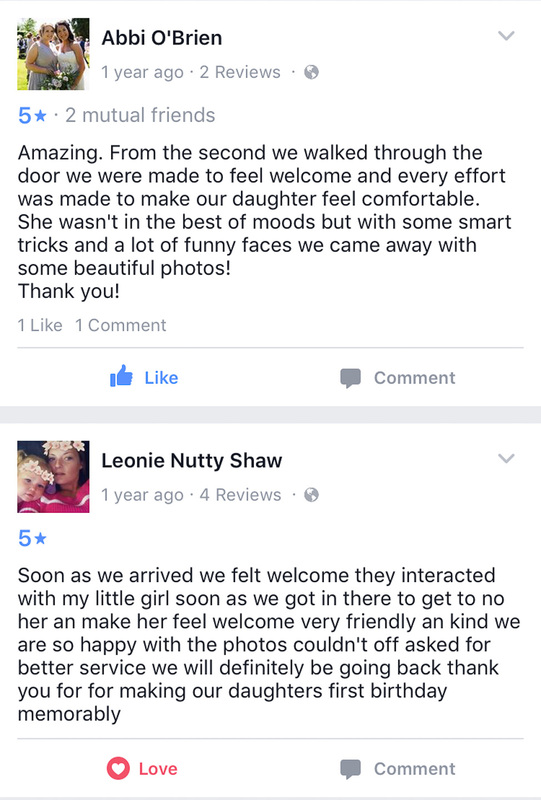 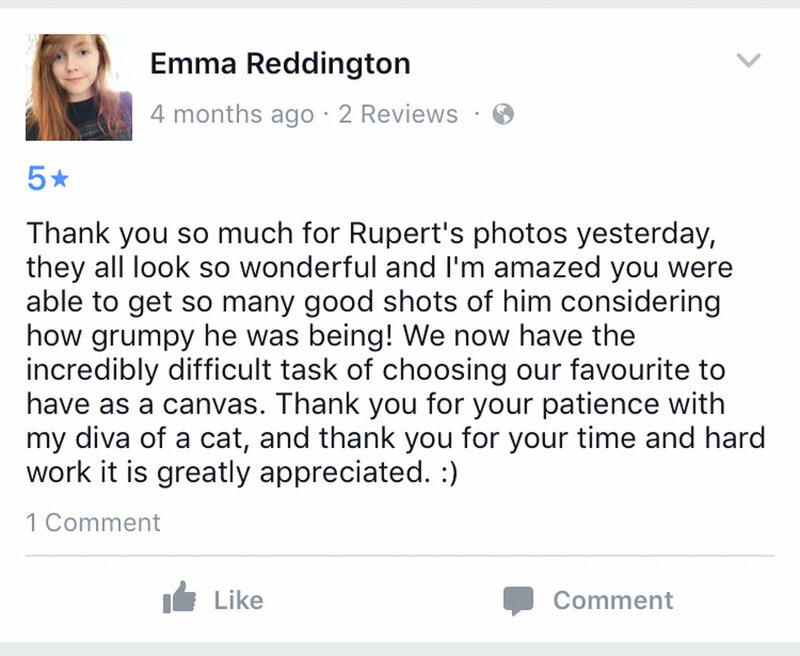 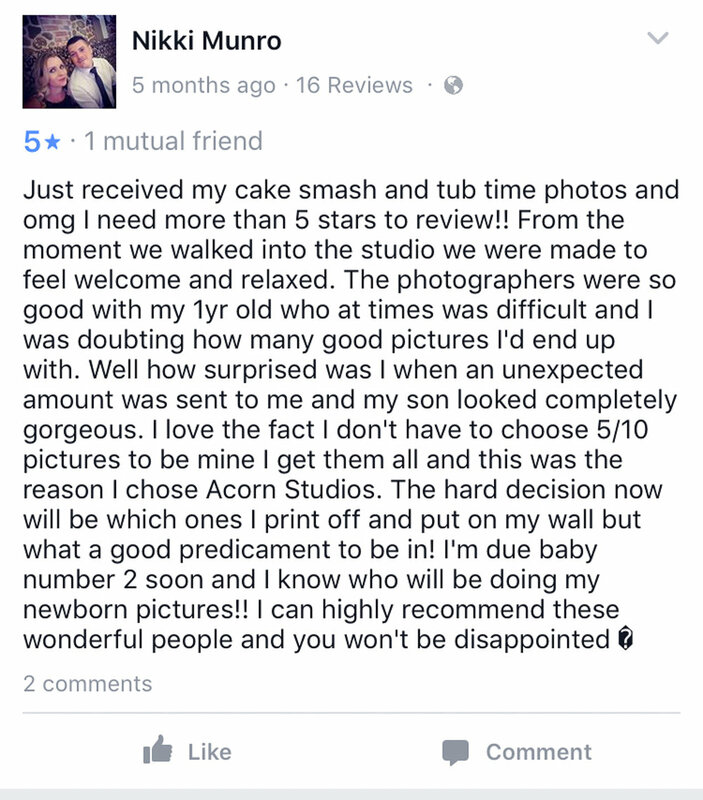 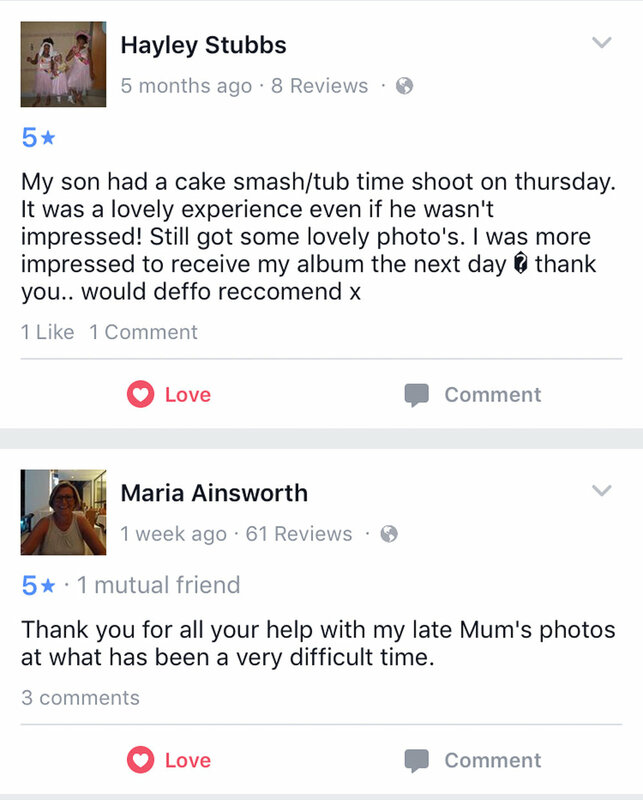 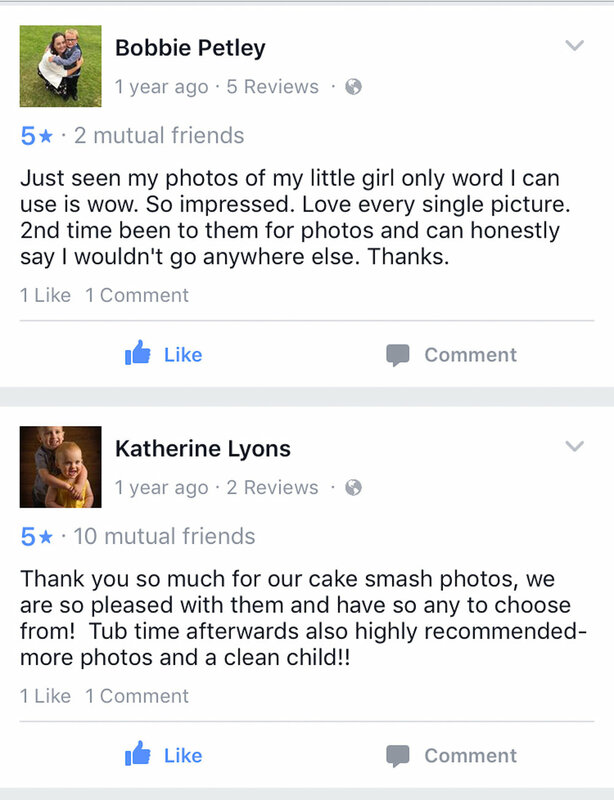 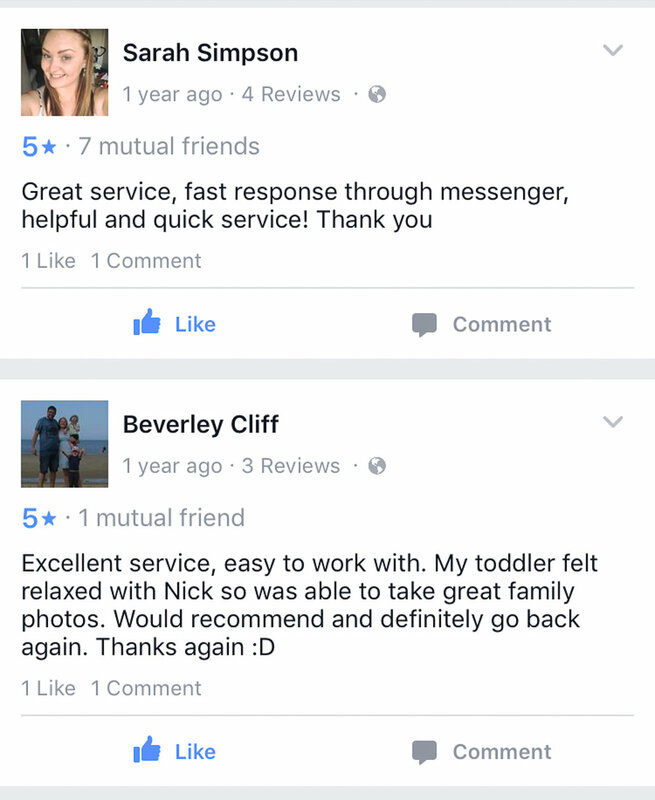 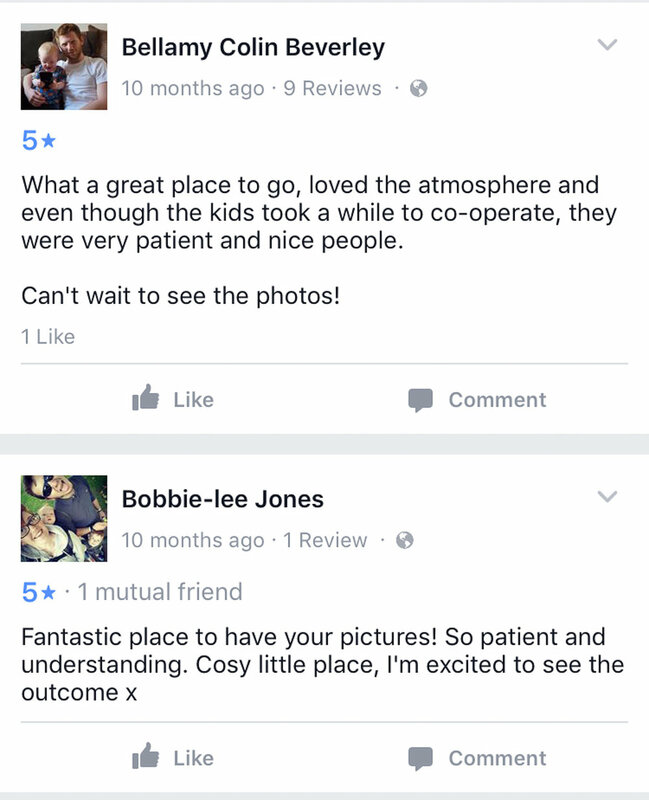 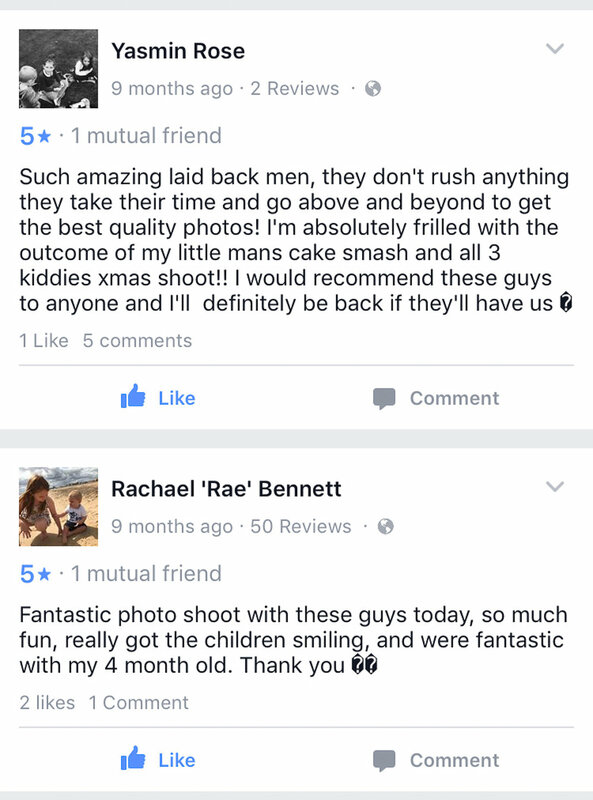 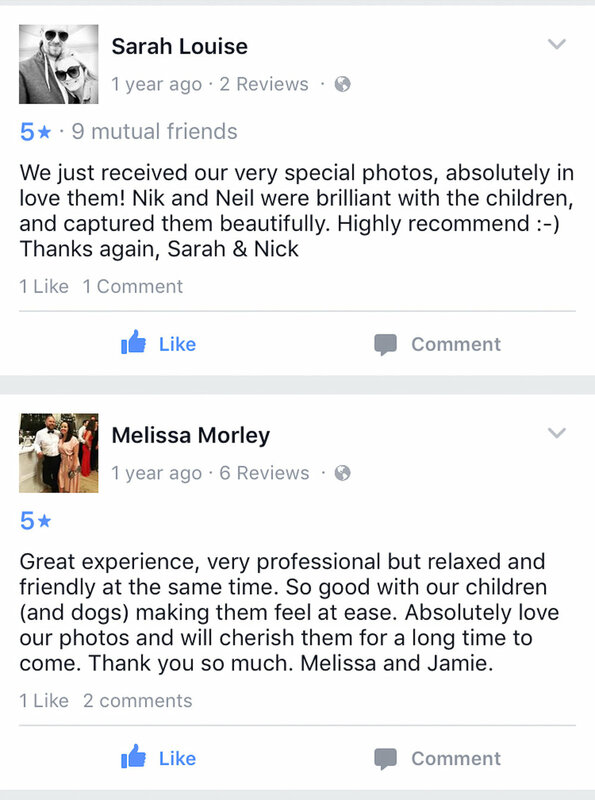 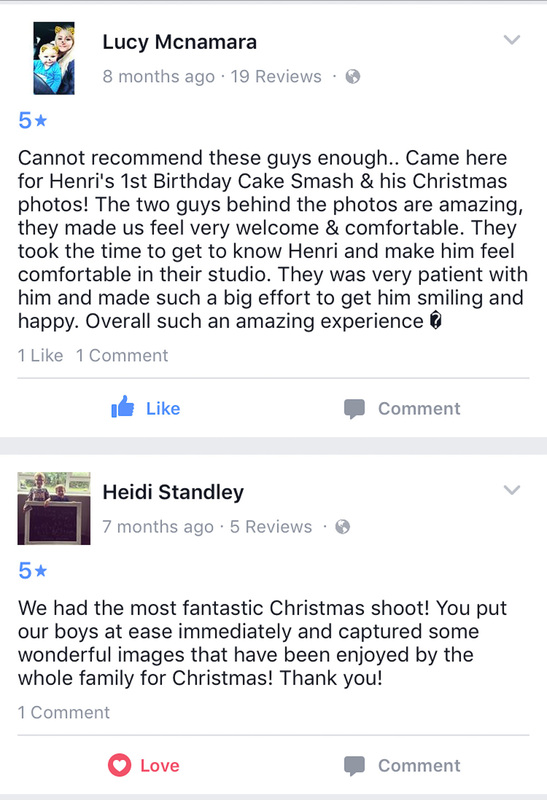 We have collated all our reviews from FB in the past two years here in this gallery for you to browse. 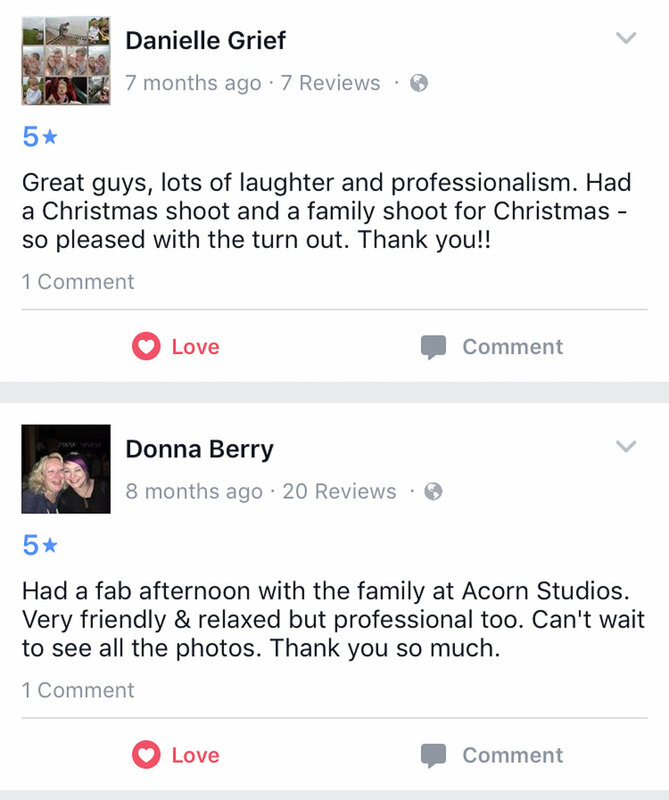 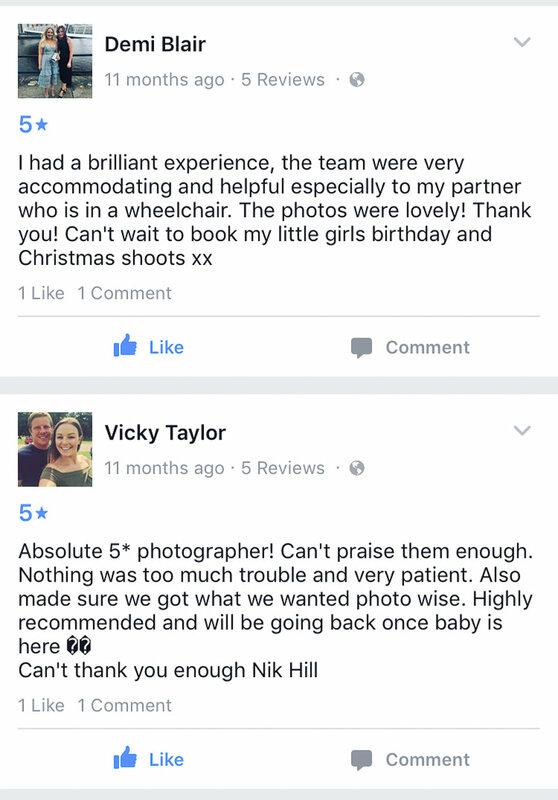 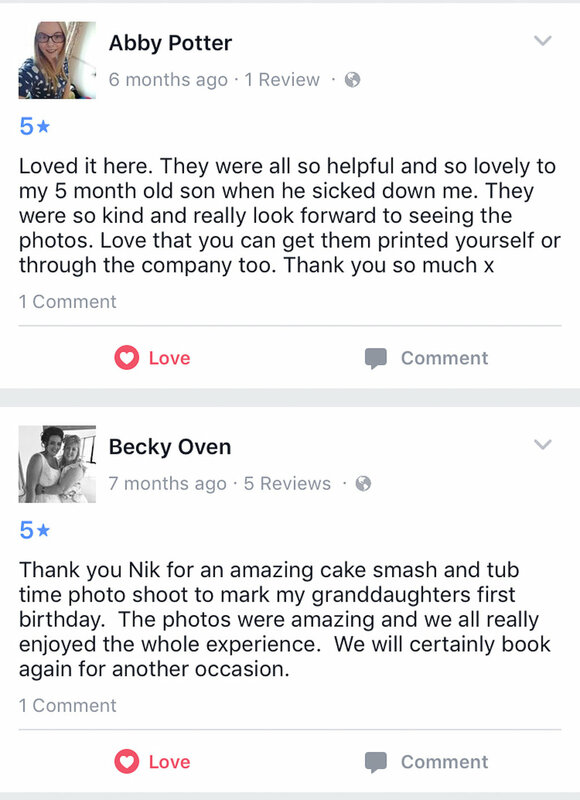 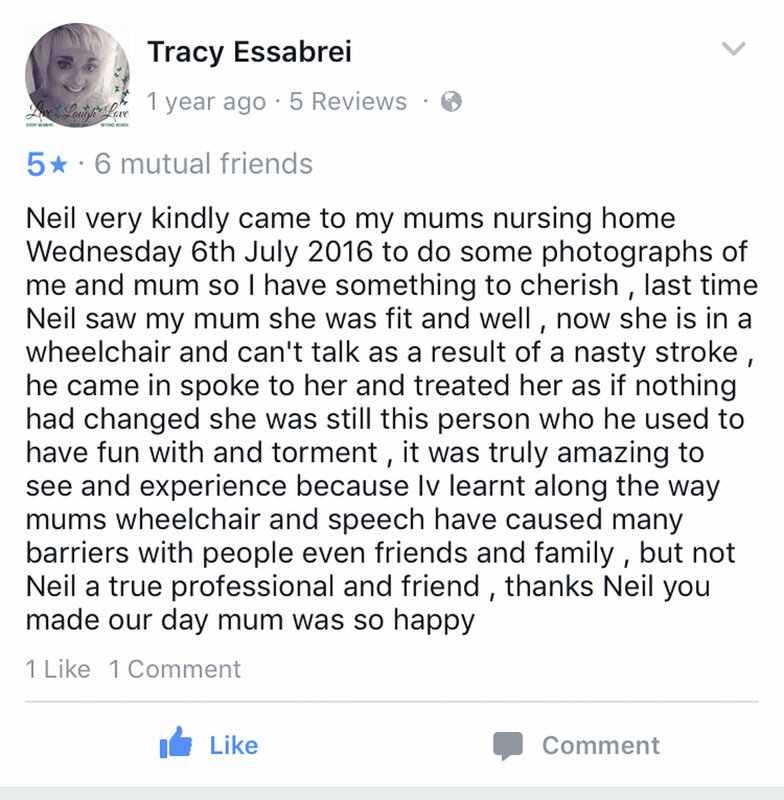 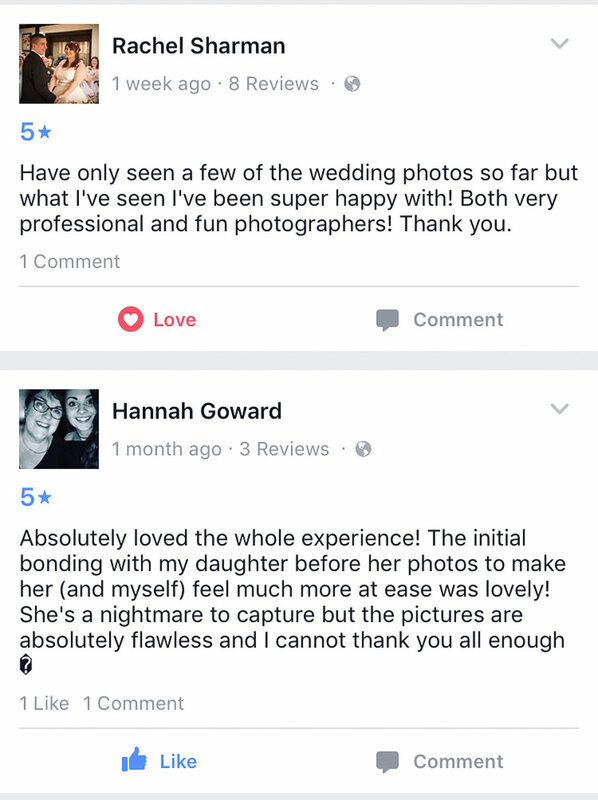 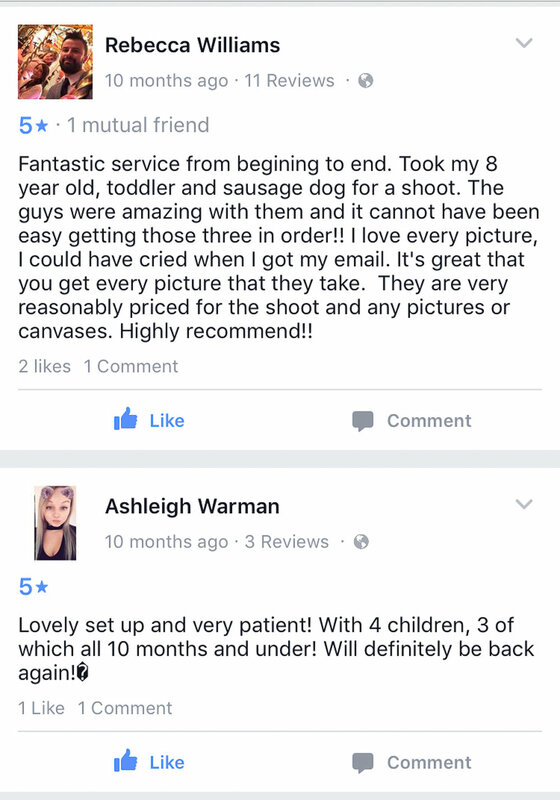 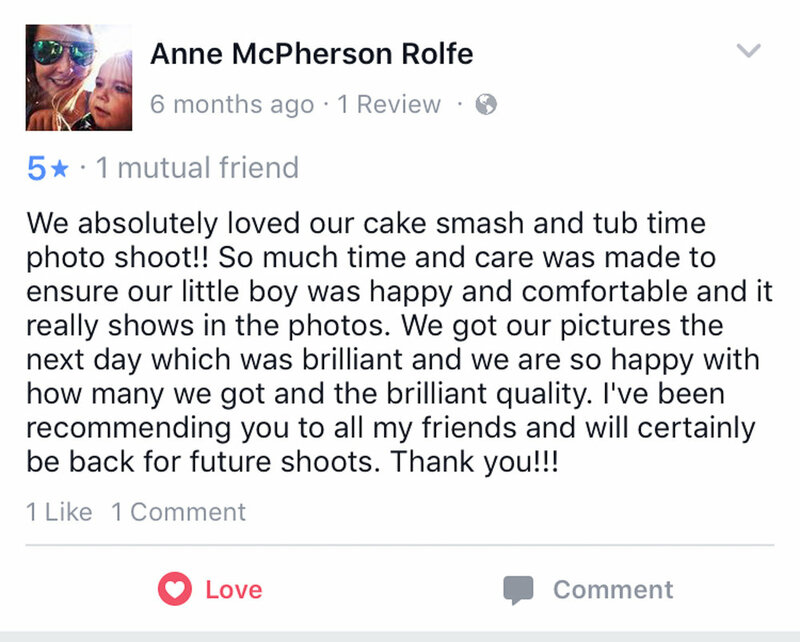 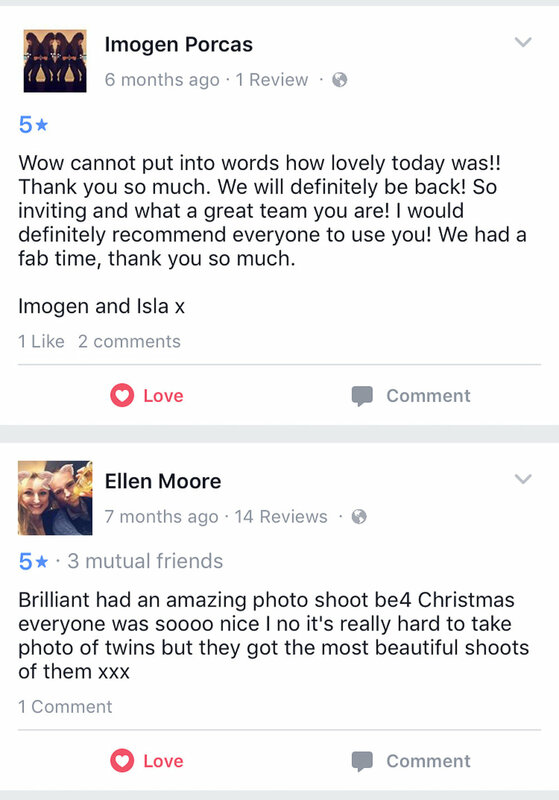 All of these reviews are from our clients for no other reason that they wanted to let us know what they thought about their time with us.